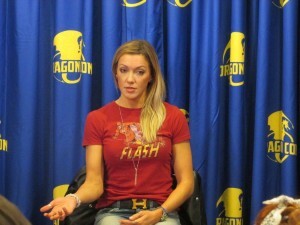 While at Dragon Con, I had the opportunity to participate in a press conference with Arrow’s Katie Cassidy, a.k.a. 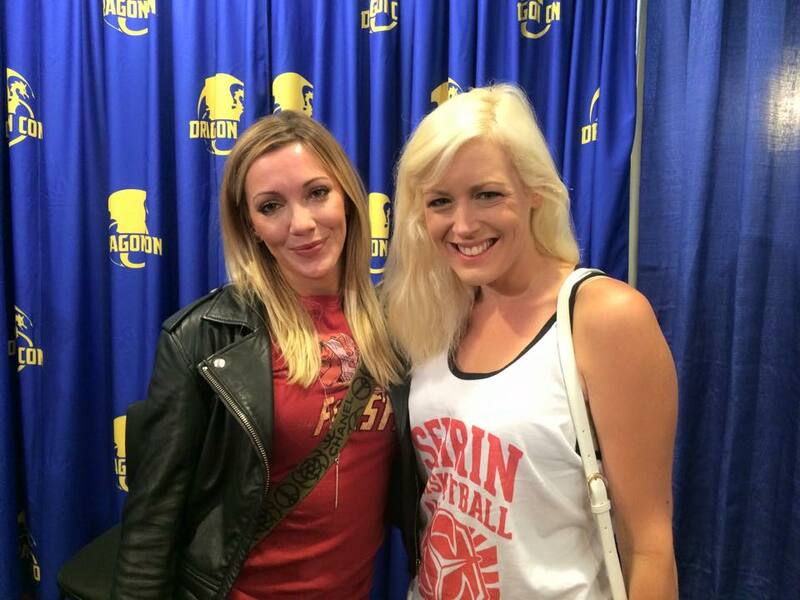 Laurel Lance, a.k.a. [the current] Black Canary. The great thing about Dragon Con is that the stars aren’t really there to promote things the way they are at, say, SDCC, and I loved the more conversational aspect of this and the other interview experience that I had (more on that later). That legitimacy apparently even works its way into her stunts – she does as many of them as they’ll let her, although she noted that “Obviously, they aren’t going to let me jump off a building…it would be fun for sure…but they let me do as much as they can.” Apparently she only stops for insurance reasons, which is just more proof of the dedication she has to this role. Additionally, Katie was asked if, after two years of seeing everyone else get to wear costumes and fight, it was exciting to be able to join in. Not surprisingly her answer was, “Oh my gosh, yes! Absolutely! 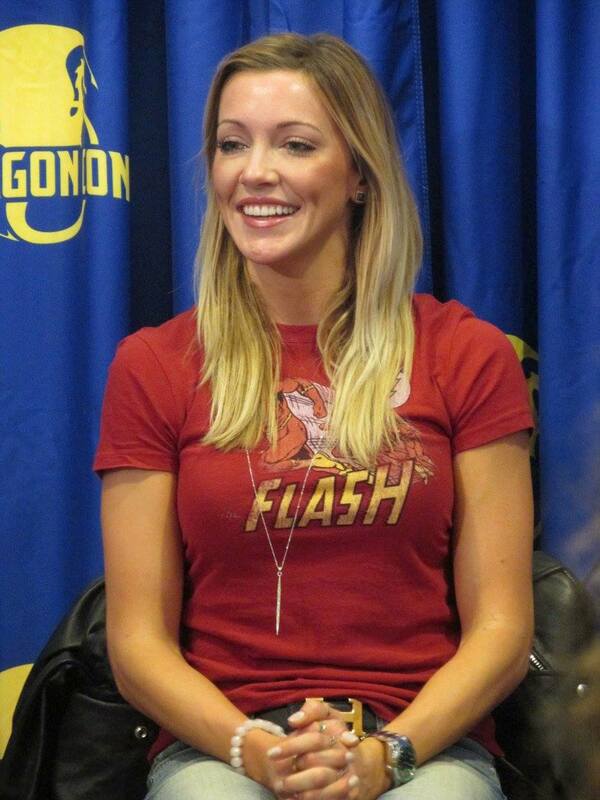 […] I met with The CW before I even read Arrow…and I was like…I play a lot of strong female woman characters and…I always wanted to do action, I’ve always worked out, you know. I think having a healthy lifestyle is important and I was like ‘I want to do some badass, kickass action show. If you guys have one, let’s talk.’ So…they pitched me the show and they were like in the comics Laurel Lance is Black Canary…And I was like okay great. And then obviously the way, it’s television so anything can happen, and I’m actually grateful about the way they went about it. Because it gave my character some place to go. And when you are on a show, season after season after season, I’m so lucky that I’ve had this wonderful arc and growth for me. But you know, definitely in season one and season two it was a bit frustrating because I wasn’t part of any story. I was like […] I wanted to be in there.